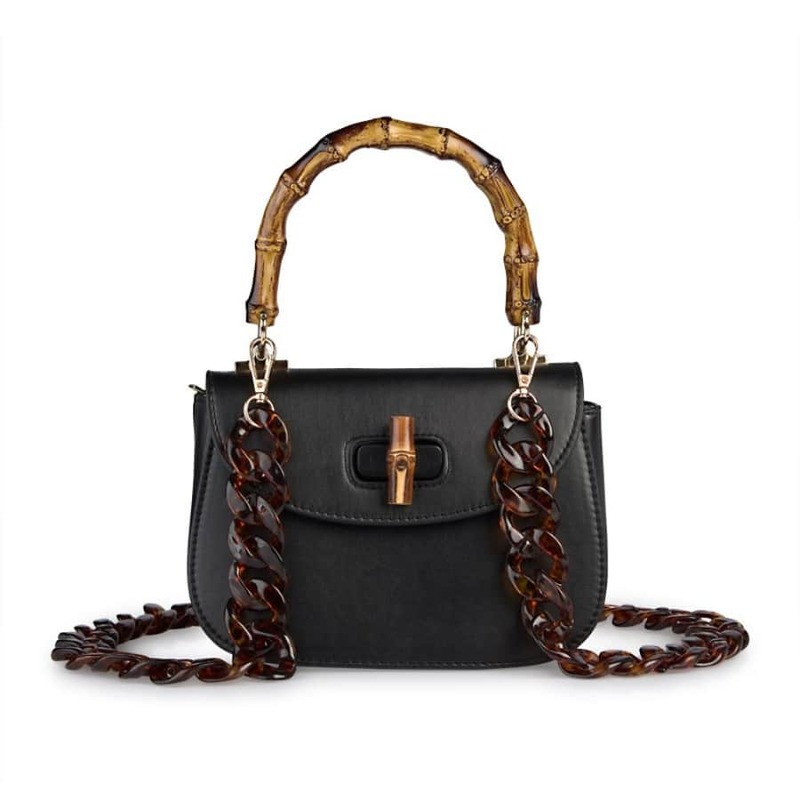 This bag is a must for any fashionista with its striking bamboo top handle and perspex tortoiseshell chain-link strap, the bamboo trim twist-lock acts as the closure. 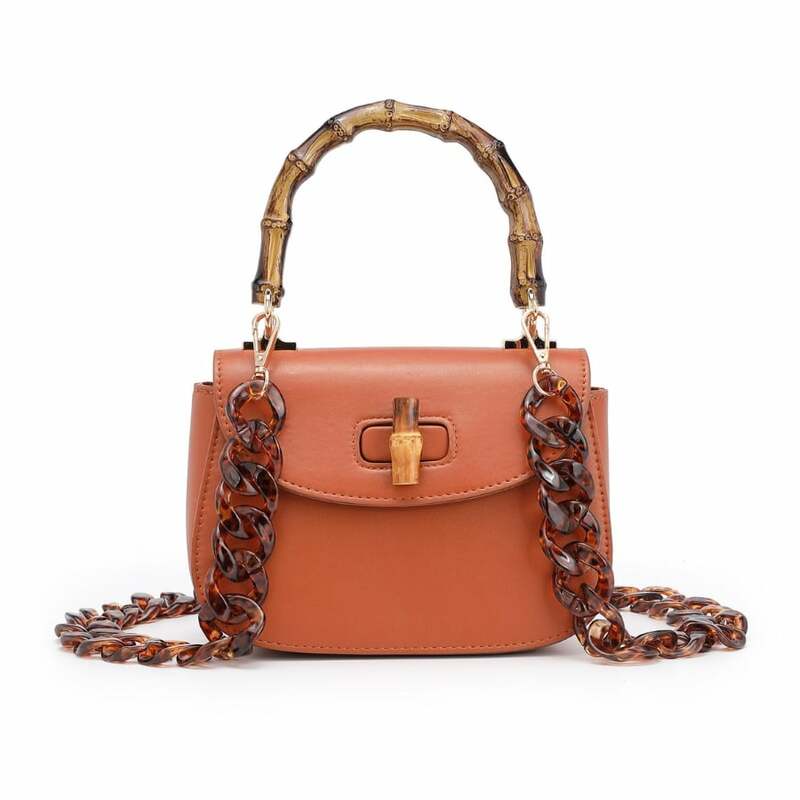 The perspex arm strap is detachable. 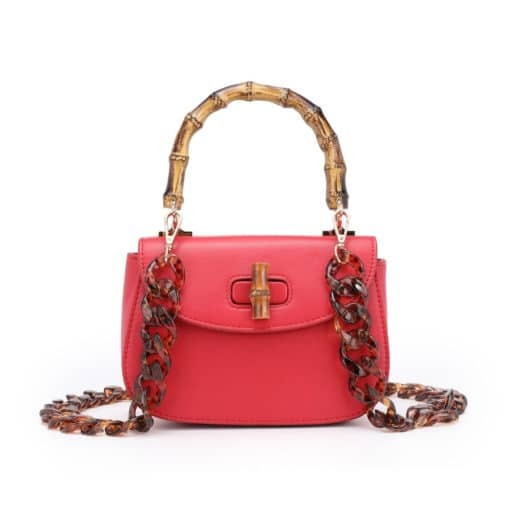 The bag has an inner pocket with zipper, cellphone pouch and front pocket under the flap.